Like Zonealarm giveaway its software sometimes, Iobit will giveaway license of Advanced SystemCare Pro for free within 24 hours randomly from November 20 to 27. It called Thanksgiving gift. This software's retail price is $29.95. 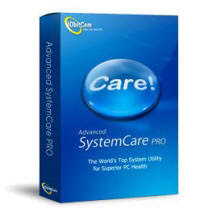 Advanced SystemCare Pro is a system software that protects and speed up your computer. If you are interesting this software you should be on this page to check out in that time.